I know it sounds too easy: Tell Jesus you sinned and ask for forgiveness. I can tell you confidently that it wasn’t easy for Jesus. It sounds so easy, but I assure you it wasn’t easy for Him. This simplicity – this depending upon what Jesus has already done – is the Gospel, friends. We long for the power of the Gospel, but we struggle with its simplicity. But what if you fulfilled your longing for freedom by asking Jesus to cleanse you of your sin and cleanse your conscience? Imagine a life free from guilt and shame, and full of the presence of God! Why? Why is this freedom so important in the life of a believer? The two words so that tell us there is one huge purpose to having our consciences cleansed by Jesus. Christ cleanses us so we may serve the living God. The word serve comes from the Greek word latreuo, and it means to worship and enjoy the presence of the living God. Jesus wants you free from sin and shame so you can enter into God’s presence. Let me ask you: What in your history keeps you from experiencing intimacy with God? Whatever the answer, Jesus wants to set you free. Just ask Him. Jesus, thank You for making this simple. I come to You with a request today: Replace my guilt with Your innocence. Relieve this burden of condemnation. I bask in Your unconditional acceptance and praise You for it! Allow this new life to affect all areas of living and loving. Amen. Step into Eternity with Confidence! 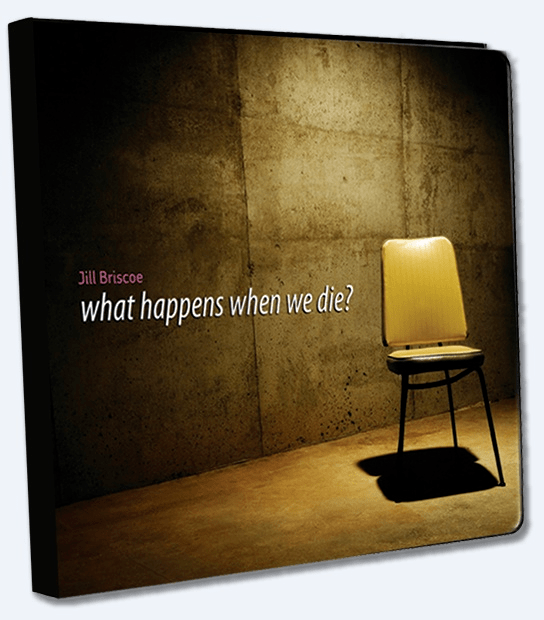 This powerful resource from Jill Briscoe shows you what the Bible says about life after death and how you can step into eternity with confidence. Request your copy when you give today to help more people experience Life in Christ!